The original Christmas old time radio collection that about what nobody wants: fruitcake. The biggest names in entertainment brought the troops some Christmas Cheer during the holidays. Blue-collar Riley does the best he can to make a Happy Family Christmas. Whistling you a Merry Christmas tale sure to send a shiver even up Frosty the Snowman's spine. Everyone's favorite weather predicting mammal, the Groundhog celebrated in old time radio shows. A man of many hats, Orson Welles was a gifted and venerated actor, writer, director who used his talents to bring more magic to Christmas Radio Dramas. 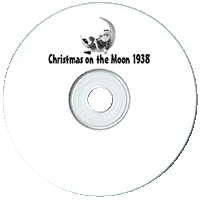 This collection includes your favorite Christmas Classics films adapted to old time radio with the original casts such as James Stewart and Donna Reed in It's a Wonderful Life! stuck on the perpetual 39th Birthday, Mary Livingstone's sweetheart Jack Benny was born on Valentine's Day. brought in top stars like Fibber McGee and Molly and Frank Sinatra to be sure that every card and package sent during Christmas included a Christmas Seal. Love Letters may have gone out of fashion, but they are a terrific way to express your feelings for the one you love. Everyone's favorite old time radio comedy duo know how to bring all the laughs for their annual Christmas Special. Featuring everyday Christmas stories about "Radio's Home Folks", the family who lives in "the small house halfway up the next block." The relationship between Grandparents and kids is one of the most special and important in all our lives. Yuletide greetings from the home of Henry "Henreeee" Aldrich as his family celebrates Christmas. Bob Hope lived to be 100 years old and he celebrated 100 Christmases; many of those Christmases were celebrated with US troops. For most of the world the winter Holiday Season is the most joyous time of the year, but real-life marches on. Did you ever have the feeling there was a severed limb in your Christmas stocking? Listen to the best Christmas shows from Radio's Outstanding Theater of Thrills! Enjoy the beginning of summer and honor our fallen with this compilation of historical, dramatic and comedy radio shows. Charles Dickens' classic The Christmas Carol is alive and well from all various old time radio shows. Enjoy this Christmas Serial done in the Spirit of The Cinnamon Bear and Jonathon Thomas and His Christmas on the Moon. There can be no Christmas without Santa Claus, so when our hero finds out that he has been kidnapped and taken to the moon there is no time to spare! Like any Christmas serial, Jonathan Thomas and His Christmas on the Moon is best enjoyed with your kids, one day at a time between Thanksgiving and the Most Special Day Of The Year. Follow the Rainbow to this pot o'gold of Radio Shows! The love between a cavalryman and his horse, a person and a cat, or even a boy and his dog may seem strange and unnatural to an outsider, but it can be a very deep and real love, nonetheless. Halloween had a resurgence in popularity in the early 20th century America and after the sugar rations of WWII, Trick-or-treating came back into favor in America and in media including radio shows. Will Rogers said that the difference between Death and Taxes is that Death doesn't get worse every time Congress is in session! Here is something to enjoy until your Refund check arrives. 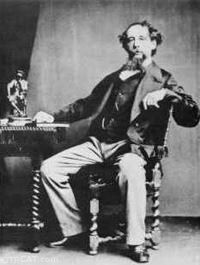 a diverse assortment of adapted Charles Dickens stories from series including Burns and Allen, Escape, Suspense, Lux Radio Theater, Richard Diamond and many others. The Gregorian Calendar adds a day February 29th to the year every four years; this collection adds entertainment from every genre of radio programs. For many of us, the real signal that the Christmas Season has begun is hearing Bing Crosby singing "White Christmas" on the radio. the 'original old blue eyes' highlighted the best comedy and music for the holidays. (update) with 8 additional episodes: Join the resident at 79 Wistful Vista for this jolly collection of Fibber McGee and Molly Christmas shows. Take a magical sleigh ride back into World War II Christmas celebrations with this incredible collection of radio shows from every genre. Crime doesn't stop for Christmas, luckily the gumshoes are here with holiday gumdrops. includes vintage recording of Christmas music many from wax cylinder recording. All of them are delightful and will make a splendid addition to your Holiday Soundtrack. Christmas is about family, and the foundation of the family unit is the love between a married couple. Get out your whoopee cushion and check your shoelaces, because there is a new OTRCAT original collection of April Fool's Day Shows. Big song numbers and plenty of knee slapping comedy to bring old time radio Christmas cheer home. Mom can have radio shows just for her this Mothers Day. Now go clean your room! Before you bite the ears off your chocolate bunny, tune in and hear how your favorite old time radio stars celebrate Easter. This collection will have you giggling jingle bells and spiting your egg nog laughing hohoho!